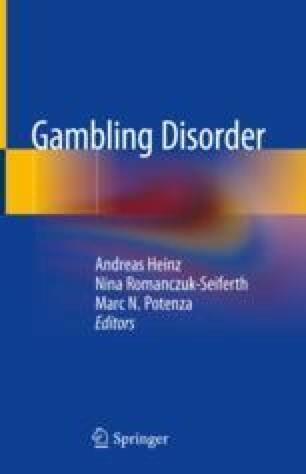 This chapter gives an overview on neurobehavioral findings concerning gambling disorder (GD). We classify studies into classical and computational psychiatry studies and into three categories related to different symptom clusters: loss of control, craving, and neglect of other areas in life. Studies using classical analyses are those that set into relationship measured random variables by estimating their respective means, variances, and covariances. Computational psychiatry studies and computational analyses are those that explicitly assume one or several cognitive-computational processes responsible for generating the data. Analyses could involve reinforcement learning models fit to behavioral choice data or neural network models fit to brain data. Computational psychiatry aims at taking a closer look at processes underlying psychological disorders. Note that we will also use a computational psychiatry perspective when reporting on the classical neurobiological GD studies here. This means we will review primary research articles with respect to computationally relevant processes such as cue reactivity, response inhibition, gain and loss processing, uncertainty, and delay processing as well as learning from reward and punishment. Strens M. A Bayesian framework for reinforcement learning. ICML. 2000:943–950. At http://web.eecs.utk.edu/~itamar/courses/ECE-692/paper1c.pdf.